Address: Testeina, 3, Puerto del Carmen (Lanzarote), Islas Canarias. 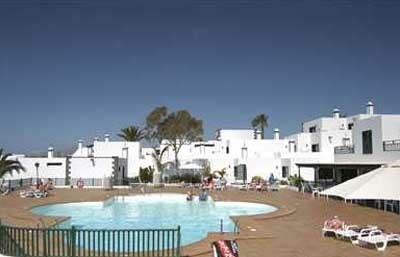 Set 400 metres from Puerto Del Carmen’s Old Harbour, in southern Lanzarote, these apartments feature an outdoor pool with loungers. All apartments have a private balcony with great sea views. Each Los Pueblos apartment has a twin bedroom and a sofa bed in the lounge area. There is a private bathroom and a fully-equipped kitchen. There are shops nearby and it is only a 10-minute walk down the hill to the lively town centre. Apartamentos Los Pueblos has a poolside bar serving snacks and meals. There is a TV in the bar area, as well as pool tables and a tennis court. The complex has a 24-hour reception and organizes daily tours. You can also hire a car, and there is free on-site parking. Please inform Apartamentos Los Pueblos in advance of your expected arrival time. You can use the Special Requests box when booking, or contact the property directly with the contact details provided in your confirmation. This property will not accommodate hen, stag or similar parties.